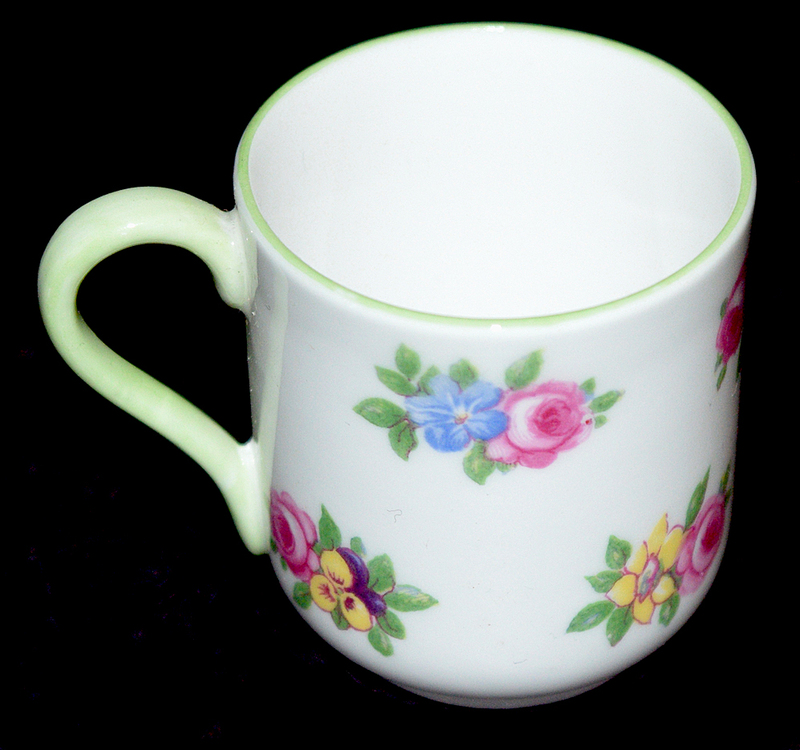 Color: White Body / Green Leaves with Pink Roses, Yellow and Blue Flowers with Green Trim. 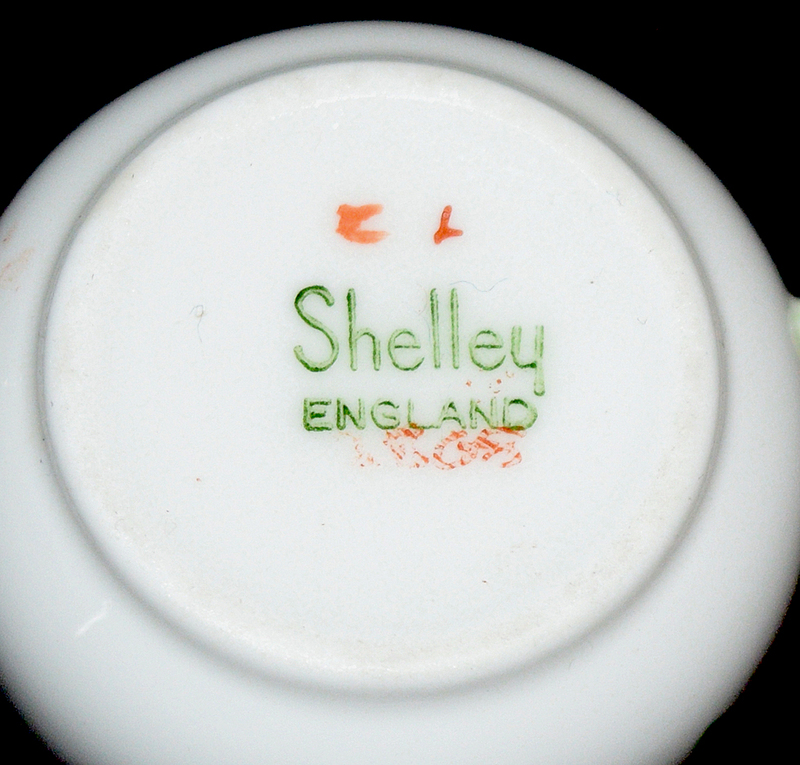 Mark: The backstamp on the cup " Shelley England"(PLEASE SEE THE PHOTO OF THE BACKSTAMP PROVIDED FOR BOTH THE CUP AND SAUCER). We cannot read the number on the cup but believe it should be "13868". Cup Measurement: 1 5/8" H. - 2" W.
Condition: This pretty floral decorated miniature cup and saucer in the Yutoi pattern is in Undamaged Condition without chips, cracks, or mold damage. 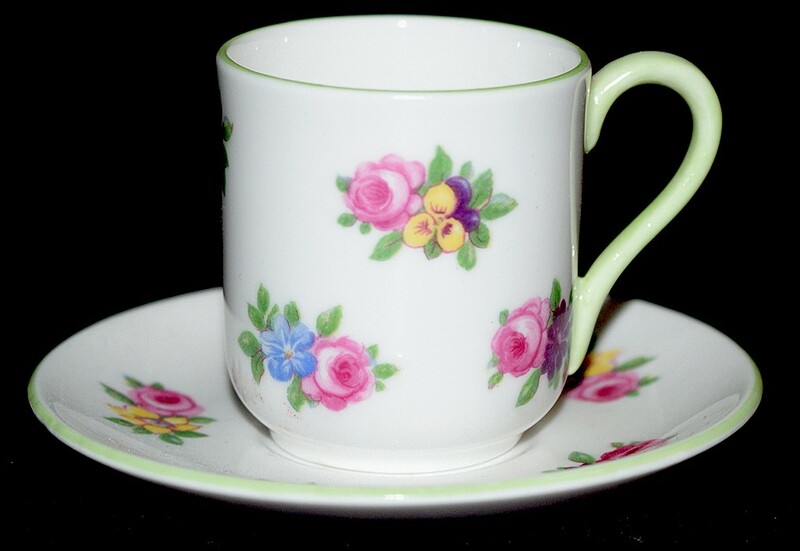 The pink, blue and yellow floral decoration is outstanding. 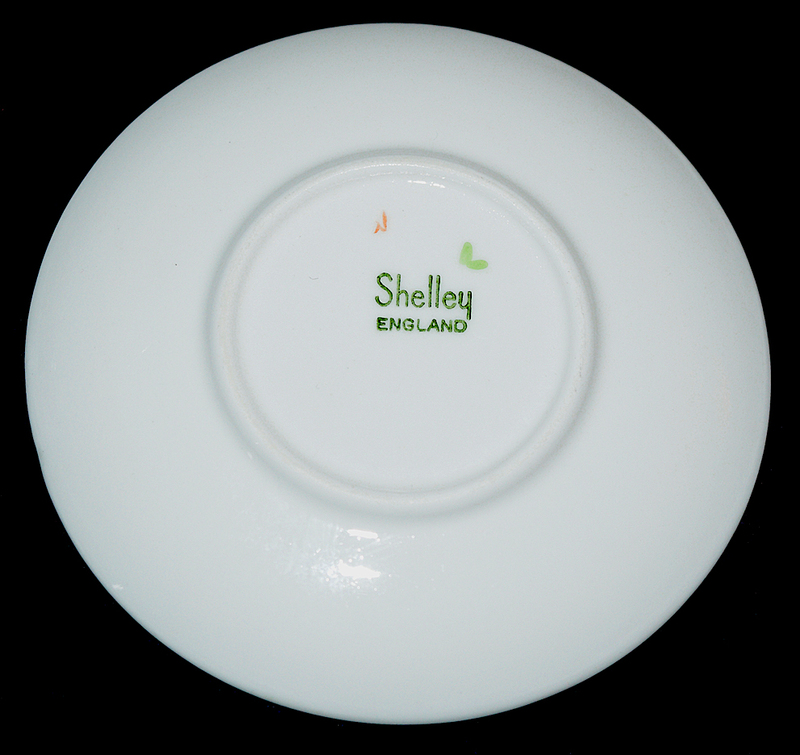 The miniature cup and saucer sets made by Shelley are difficult to obtain and are beautiful to collect. 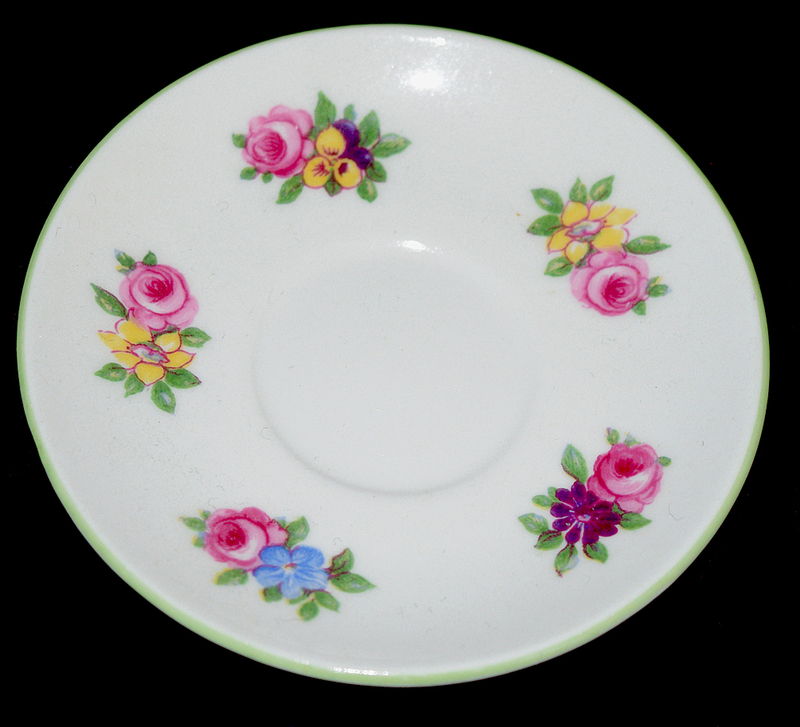 Shelley made some of the most beautiful fragile fine china. They produced 100s of different patterns. US POSTAGE AND INSURANCE ON THIS PRETTY ITEM IS CALCULATED. PLEASE SEE THE SHIPPING TAB FOR MORE INFORMATION.